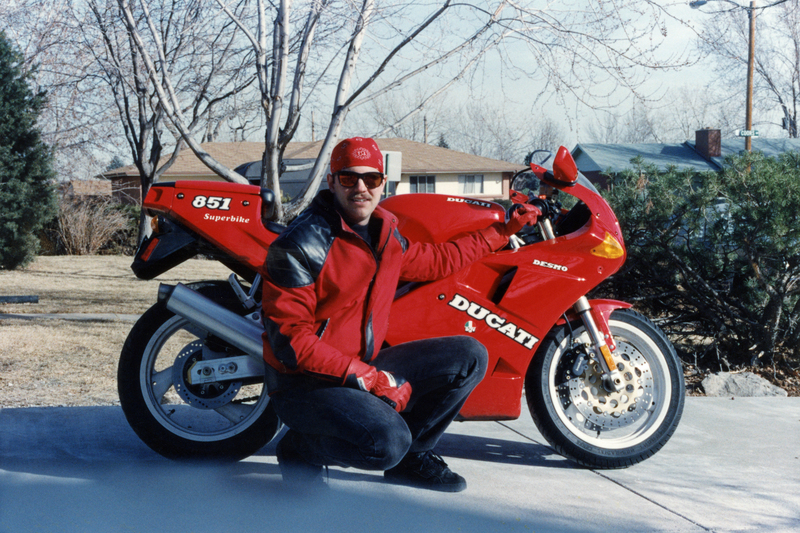 I kept my Ducati 851 Superbike for 8 years, bringing it with me when I moved to California in 1994. 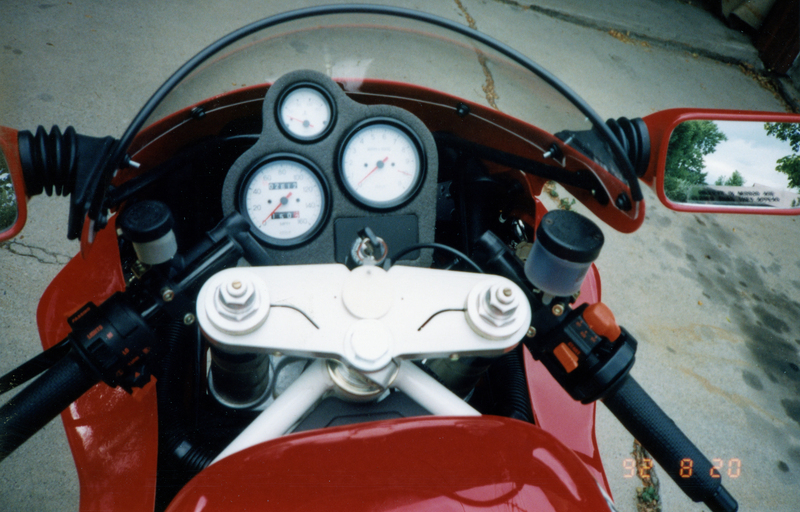 When I finally sold it in 2000 the bike had over 11,000 miles, which means I put almost 10,000 miles on the Duck. That’s the most miles I’ve ever put on a single bike, which sort of amazes me when I think about its extreme riding position. I had to fold my 6-foot frame on to those high foot pegs and low handlebars every time I rode it, which was pretty easy in my mid 20s but seems incomprehensible at twice that age. 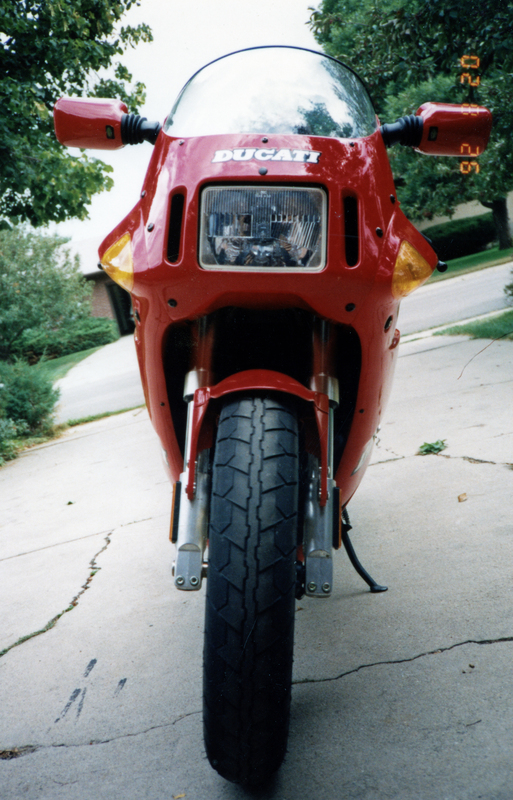 I sold it to a Berkeley professor for $6,500, which has to be one of the cheapest per-mile and per-month costs in the history of motorcycling. 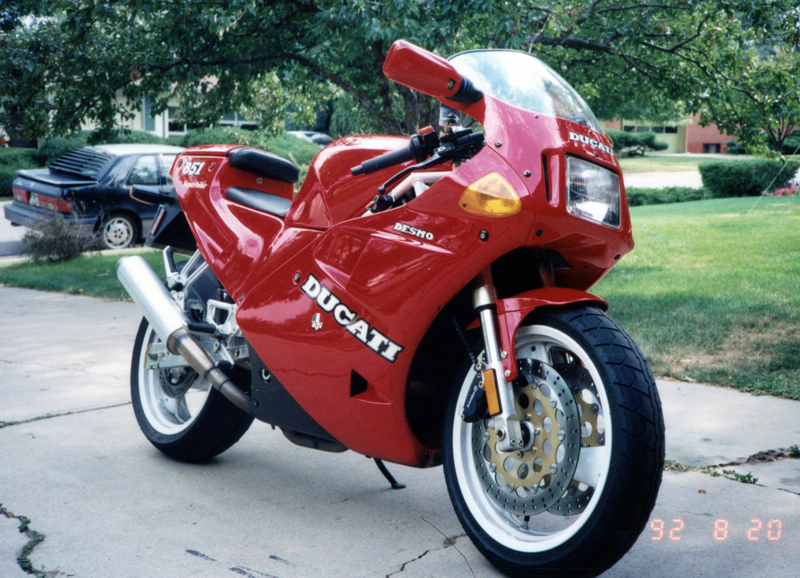 I had heard rumors of nightmare maintenance issues on these Italian motorcycles, but mine had none. If I found another one in clean condition I’d be tempted to buy it, though as mentioned, at this age I could likely only look at it versus ride it. My wrists hurt just thinking about the long reach to those low clip-ons.